For many brands, creating round watches is simply a decision that makes economic sense: Circular cases are, by far, the most popular in the world. 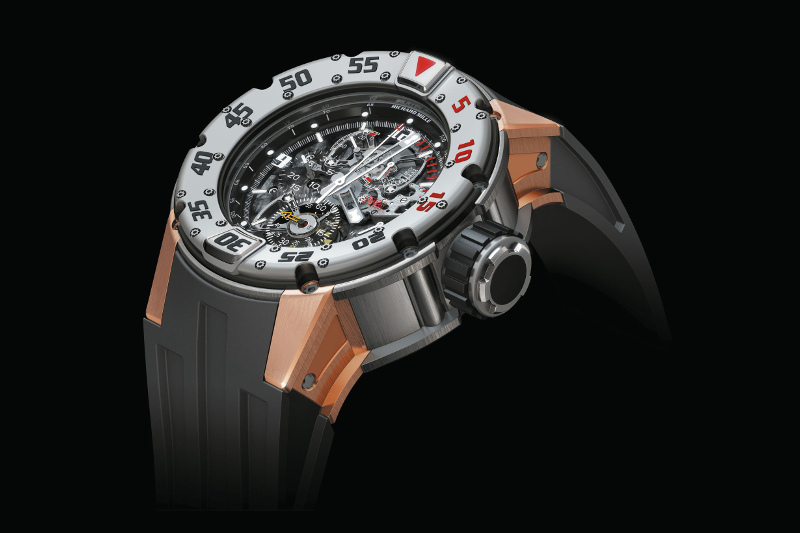 For Richard Mille, however, the RM 25 Tourbillon Chronograph Diver’s Watch was a break from the brand’s tonneau-shaped tradition. The manually wound timepiece, equipped with a tourbillon and a chronograph, is water-resistant to 300m. This is best achieved with a round case, because edges are tricky to fully seal, especially when combined with the high pressure at such watery depths. The bezel, as you would expect to find in a diver’s watch, is unidirectional to prevent potentially dangerous timing miscalculations when one is deep underwater. 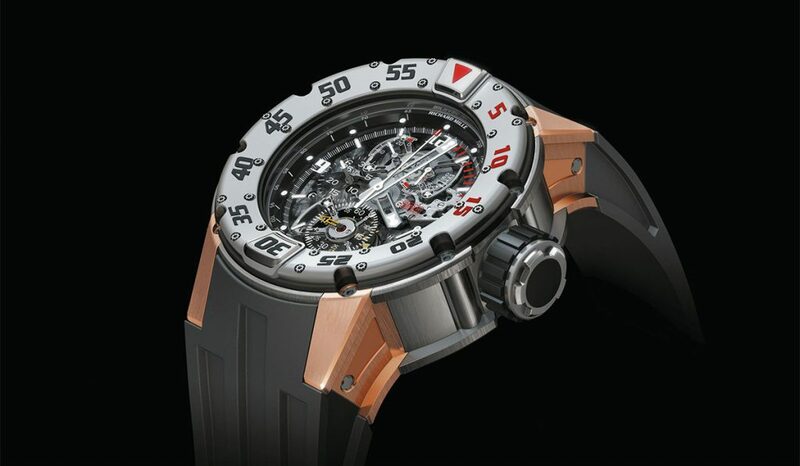 Unlike most other timepieces, however, it comprises three layers that are connected with 24 screws – and this entire structure is then screwed to the case for maximum stability.